CROMA. The future continuous coating at Interpack 2017. IMA Active will present its new continuous tablet coating equipment at Interpack 2017. However you look at it, the Continuous Manufacturing is one of the main drivers of innovation in the pharmaceutical production sector. Especially for solid drugs. Adopting a continuous process is a philosophical choice, the practicalities of which can play out in a number of ways. There are various schools of thought: some focus on total innovation, which also involves the product and the process; while others rethink consolidated processes in a new light, to draw advantage from reduced production time and costs. After years of study and observation, IMA is convinced that this evolution in the pharmaceutical industry will accelerate because it is backed up by the regulatory bodies for drug production. The mechanisms, logics and dynamics of Continuous Manufacturing are aimed at achieving total quality – a sought-after concept in all industries, and even more so in the pharmaceutical one, where the end goal is human health. IMA has taken steps towards Continuous Manufacturing by using both approaches: the first, and the more innovative, through its collaboration with CONTINUUS Pharmaceuticals; the second through the IMA Active Research and Development team. CONTINUUS is a spin-out of Boston MIT that operates in the development and implementation of continuous processes using new technologies. The aim at CONTINUUS is to produce a final dosing form with optimal therapeutic properties, forging the product from the early production phases, and even including API synthesis beginning with its precursors. 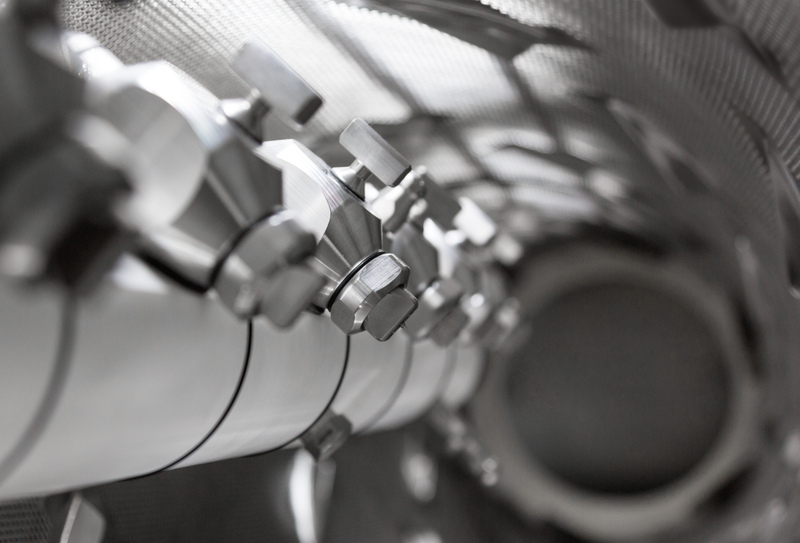 The innovation offered by CONTINUUS lies in combining two previously separate worlds: primary pharmaceutical production (raw materials) and secondary pharmaceutical production, using new process technologies. This approach is highly innovative: achieving results will be a long-term process and will require the development of a modular technological platform for application to any product. IMA is committed to supporting the second part of this study, i.e. where pharmaceutical form production begins. IMA Active is working on the continuous process by rethinking currently known technologies in order to bring new proposals for customers to the market as quickly as possible. When it comes to technologies for solid oral form production, IMA Active has chosen to start with the tablet coating process because it comes between two intrinsically continuous processes already managed by IMA machines: tablet pressing and packaging. CROMA, the new continuous tablet coating equipment, is sized to work downstream of a medium-speed tablet press. IMA is committed to supporting the change towards Continuous Manufacturing. CROMA is the first step towards continuous production. IMA’s team is ready to welcome the demand for innovation coming from companies and stakeholders, working together to design the future of pharmaceutical manufacturing.